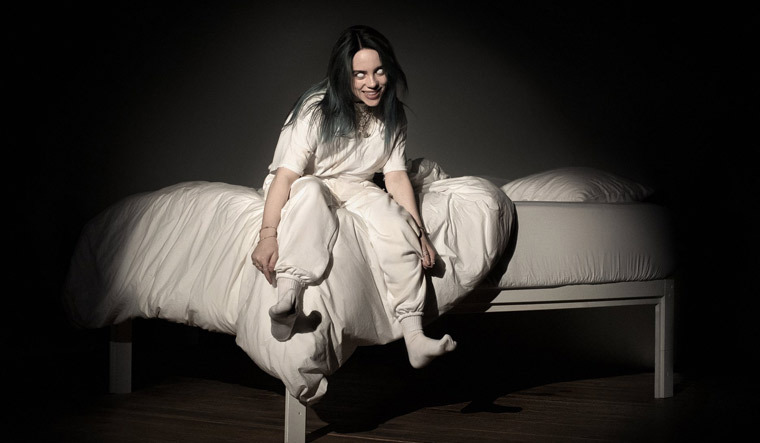 Fans of Billie Eilish can never get enough of the artist’s unique style and world. If a brand new album cracking records across the world was not enough, the 17-year-old phenomenon has a new treat in store for fans—a revamped website featuring an interactive version of her bedroom. The site takes a while to load but once you are in, it is classic keyboard controls to navigate—WASD to move around and drag-and-click with the mouse to look around. It also works on mobile. It is a visual tour of all the art that Billie’s been involved with making—from her collaboration with Japanese contemporary artist Takashi Murakami to her sneaker-shopping experience with Complex magazine. The virtual bedroom has tons of tiny details and potential Easter Eggs—the computer can be seen playing ‘bad guy’, the glowing stickers on the ceiling link to a shopping page, the shelf has albums by Marina and the Diamonds and Amy Winehouse (fans of Billie will be adding this information to their mental footnotes of her many influences). The site resembles what Billie’s record company, Interscope, set up in downtown Los Angeles in partnership with Spotify as part of her latest album’s launch. A multisensory experience, the display involved a series of rooms—one each for the album’s 14 tracks that explored various facets of Billie’s mind. Billie’s new album, When We All Fall Asleep, Where Do We Go?, released on March 29. You can see her interactive site at billieeilish.com.